It’s Halloween, Time to Put on Your Best Advocate Costume! The air is turning crisp and cool, the trench coats and boots have been brought out of storage and dusted off, and it’s almost time to don your best disguises for Halloween. As I started planning out my own costume, it occurred to me that it can also be beneficial to disguise yourself a bit when you’re advocating Congress—but not as a vampire or a pirate wench (and no, I’m not dressing up as either of those). First, let me mention the characteristics of your inner advocate that you do NOT want to disguise. Don’t try to hide your passion or your persistence, as these qualities make up the foundation of effective advocacy. That said, there is a difference between passion and the need to say absolutely everything that’s on your mind, like “You just want more campaign money!” or “You should agree with everything I say because I’m obviously right.” It’s important to stay true to who you are, but if you find yourself starting to go this route when you’re communicating with your legislators, just know that you’re not going to get very far. Insulting someone is never the best way to get what you want from them. If you’re the type of person that normally tends toward these opinionated outbursts, try to rein it in when you’re advocating. Put on a mental disguise and become someone that, well, doesn’t do that. Until your next advocacy adventure, have a Happy Halloween! And gentlemen, I know you might think it’s hilarious but please spare us all the former New York Congressman gray boxer-brief costume—no one wants to see that. At the very least, keep it off of Twitter. 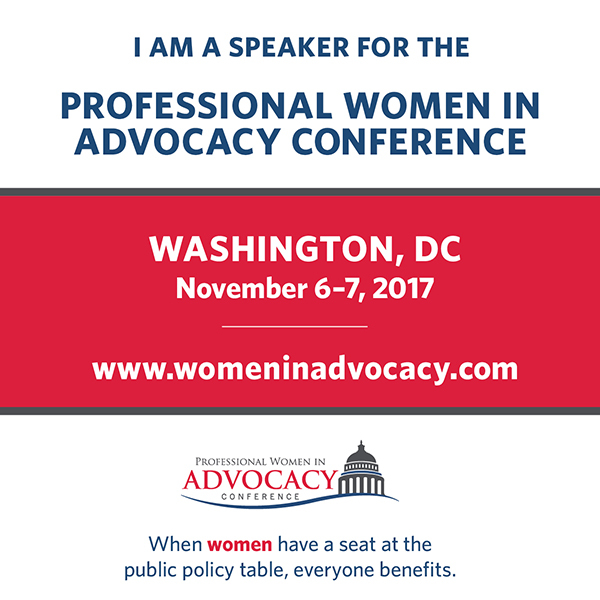 Join "Advocacy Guru" Stephanie Vance for a Webinar on How to Keep your Advocates Inspired! It’s not too late to register for tomorrow’s webinar with “Advocacy Guru” Stephanie Vance. Grassroots advocacy is fundamental to achieving policy goals. Join Stephanie tomorrow at 2 pm to learn how to keep your advocates inspired by developing a year-round advocate training and engagement program. With the 302a allocations determined by the budget resolutions, the process moves to the House and Senate Appropriations Committees. The Chairperson of each chamber’s Appropriations Committee divides the allocation from the budget resolution into 12 separate 301b sub-allocations, one for each of 12 subcommittees. These subcommittees oversee different federal agencies and programs (e.g. Labor, Health and Human Services, Education and Related Agencies; or Energy and Water Development). The subcommittees take those limits and apportion money to the federal programs and agencies under their authority. The subcommittees will each pass their bill and the Appropriations Committee will then consider and amend the appropriations bills from the subcommittees. After that, the full House and Senate vote on the bills, reconcile differences, and send them to the President by October 1st, which is the start of the new fiscal year. Or, at least that’s what’s supposed to happen under something called “regular order.” Of course, nothing about Congress follows regular order these days. Sometimes, to make the process easier, Congress will combine different spending bills to create an “Omnibus” bill. Because an Omnibus bill would be voted on just once (instead of 12 separate votes for 12 separate bills), these can be easier to pass. If the work on any or all of the appropriations bills isn’t done by October 1st, Congress must take action to avoid a shutdown of any programs not yet funded. In this case, Congress can pass a bill maintaining funding at existing levels for any programs associated with an appropriations bill that hasn’t yet passed. These continuing resolutions (CRs) almost always have deadlines by which Congress must either pass a new CR, or finish up with the appropriations bills. For FY 2018, Congress is pursuing both approaches. First, the House has created an “Omnibus” bill that combines all 12 appropriations bills. This bill has passed the House but is unlikely to pass the Senate. Meanwhile, both chambers continue to work on individual bills. But because this work was not finished by October 1st, the Congress had to pass a CR to keep government funded. This CR expires December 8th. So look for some excitement in the coming months! 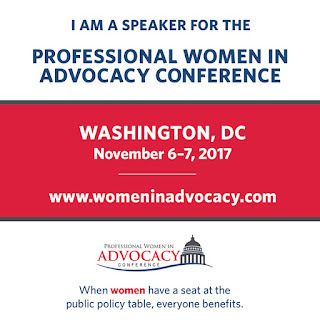 Don’t miss “Advocacy Guru” Stephanie Vance at the PWIA conference on November 7th. She’ll be giving all her “how to” secrets away at a train the trainer session. Budget Committees: The House and Senate Budget Committees are each tasked with preparing a “budget resolution”, which sets out guidelines for the revenue and spending that is expected to occur in the upcoming fiscal year. Appropriations Committees: There is also an Appropriations Committee in each chamber. These Appropriations Committees are comprised of 12 Subcommittees, such as the “Interior, Environment, and Related Agencies Subcommittee” or the “Defense Subcommittee”. Each of the subcommittees produces a bill specifying how much will be spent on the programs that fall into their policy area. The level of appropriations in each chamber is constrained by each budget resolution. Discretionary Spending: The entire budget and appropriations process covers only discretionary spending, or the “optional” parts of government spending, such as national defense, transportation, national parks, etc. “Optional” means that although the programs may be authorized, their funding levels aren’t guaranteed and must be reconsidered every year. Mandatory Spending: Mandatory spending, on the other hand, is set by a specific formula established under previous laws, such as Medicare, Social Security, or Medicaid. In other words, these funding levels are guaranteed unless Congress overhauls the underlying law, a process that is not controlled by the Appropriations Committees. Fiscal Year (FY): The federal government appropriates funds in fiscal years, which run from October 1st to September 30th in the following calendar year. The process of preparing budget requests for a fiscal year often begins a little over a year and a half before that fiscal year starts. Planning for FY2019, which will begin on Oct. 1, 2018, began in the spring of 2017. Office of Management and Budget (OMB): OMB produces the President’s Budget by considering how agency budget requests align with the President’s policy and budget priorities. Our story about the budget process continues with a visual that may be familiar to long-time keen observers of DC. The President’s budget is legally supposed to be submitted to Congress between the first Monday in January and the first Monday in February, when pallets of the huge tome are delivered to office buildings on Capitol Hill (for FY2019, that means the deadline is Feb 5th). This rarely happens on time anymore- especially in the President’s first year in office- and there are no legal consequences for failure to perform this on time. The Congressional Budget Act of 1974 generally governs the budget process on Capitol Hill, but remember that Congress’ budget and final appropriations bills do not have to agree with the President’s budget and almost never do. The President’s budget is a strong suggestion. It can be seen as a political document, outlining the funding and cuts the Administration will fight for at the end of the process. Around February 15th, the Congressional Budget Office submits budget and economic outlook reports to the House and Senate Budget Committees, and by sometime in mid-March, Committees submit their views and estimates to the Budget Committees. By April 1st, the Senate Budget Committee is supposed to report a Budget Resolution; and by April 15th, both chambers are supposed to have completed action on their budget resolutions and passed them on the floor. These budget resolutions have no legal effect; they do not raise or spend any money. The budget resolution is a framework for Congress to consider revenue and spending legislation related to the appropriations process, which lays out spending limits for the Appropriations Committee, officially referred to as 302(a) allocations. Just to give you an idea of how off the rails we can get with deadlines; the House just passed the FY2018 Budget Resolution last week by a 219-206 vote. Under regular order, that should have been done by mid-April. In our next couple of post, we’ll cover the final aspects of the Congressional budget process, and look at how Congress appropriates discretionary spending. It’s early October. There’s a chill in the air, fall colors are appearing on the trees, and it’s the start of a brand new fiscal year... While many of us are a bit familiar with the trials and travails of interaction between Congress and the President, the reality is that the bureaucracy and federal departments are involved many months before. In fact, planning for the FY2019 budget began in the spring of this year, when the White House’s Office of Management and Budget (OMB) issued planning guidance to agencies. By late spring 2017 and into the summer, agencies and offices within those agencies began to develop their budget request based on that guidance. By July, OMB officially updates any changes to procedures on how agencies will submit those requests. Once all that happens, agencies submit their official budget requests, and over the next couple of months, OMB staff will review those requests and compare them with President Trump’s policy priorities and budget priorities. Late this year, the White House and President Trump will make decisions on agency requests based on the advice of OMB Director Mick Mulvaney. Mulvaney will then inform agencies of the decisions in what is commonly referred to as OMB “passback”, and some agencies will then try to appeal that decision to Mulvaney, or Trump directly. Phew! And we’re not even at the final budget proposal that the Administration submits to Congress yet! Stay tuned.